Hellas Verona will host the 10th round in the Stadio Marc'Antonio Bentegodi against Fiorentina. La Viola lost the important match against AS Roma at home with 1-2 which brought Fiorentina off the lead and on the 3th place on the table. Hellas Verona on the other hand lost 4-1 against Sampdoria and is currently 19th on the table which brings them in the danger zone to be downgraded to the Serie B. Despite Hellas Verona managed to stunt against Fiorentina last season we don't expect this to happen again. Fiorentina will be motivated to revenge their lost last weekend. AC Fiorentina was founded on 29th of August in 1926 after a fusion between Libertas and CS Firenze. Currently Fiorentina is playing his home games in the Stadio Artemio Franchi in Florence which can accommodate 47282 supporters. The stadium was build in 1931 by Pier Luigi Nervi. De first prize ever won by Fiorentina was the CoppaItalia in the season of 1939/1940. 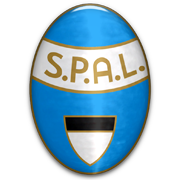 The first Scudetto (name for the Serie A title) was in 1955/1956. One of the most important players in that season was the Brazilian Juninho. In 1996 he was rewarded as the best player in club history. One year later Fiorentina lost the semi finals in the European Cup 1 against Real Madrid. During that period of time Fiorentina won the Europan Cup 2 against Glasgow Rangers and the Coppa Italia as well. In total Fiorentina won the league title twice. Important football players that played for Fiorentina are: Batistuta, Baggio, Effenberg, Laudrup, Mijatovic and Rui Costa.